Throughout 1952 the state of California would experience one of the busiest years in terms of UFO and alien activity. Reports of silver discs flying through the blue skies in broad daylight. Strange glowing spheres traveling with unknown pace yet without a sound. And several encounters with strange humanoid entities. The claims of bizarre goings-on in The Golden State were as varied as they were regular. What’s more, many of the sightings would involve “working professionals” such as scientists, police officers, or other, rightly or wrongly, perceived trusted and reliable members of the state. This would mean many of the sightings are not simply dismissed as easily as they might be otherwise. While we are going to look at a mere handful of those sightings and encounters here, 1952 may prove to be a quietly important year in UFO history. One evening in early-January 1952 in the city of Oakdale a family were driving home to their farm. 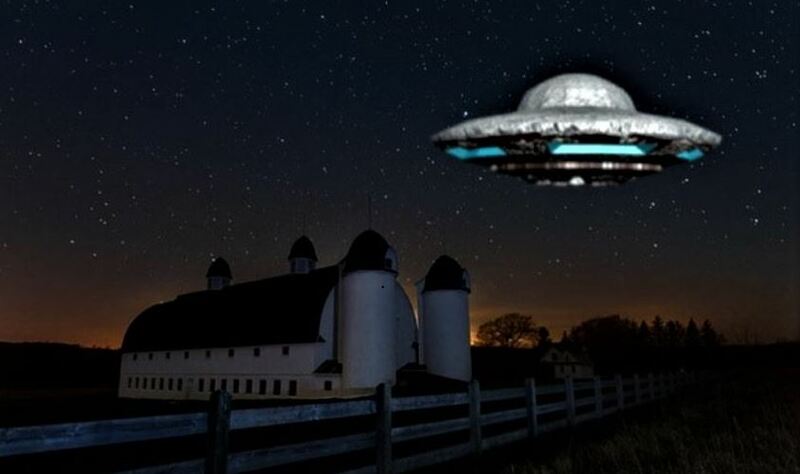 On their journey, they would witness a “bright white light” hovering over the road ahead. As it is was some way off in the distance, the family wouldn’t pay the light much attention upon arriving home. They would carry on with their evening before retiring to bed. However, later in the night, the entire family were woken and dragged from sleep by an intensely bright light that surrounded the entire house. Then, the family’s dogs suddenly became very quiet. As they peered out of the ground floor window, the family could see a “little man-like figure” approaching their property. It came right up to the glass and knocked several times on the window. The father of the family stepped a little closer. He could see the figure had a helmet with a visor on. However, he could clearly see strange “large black eyes” behind the face-shield. Even more disturbing, he would later state his belief that the eyes were merely a cover for the “actual eyes” that he could see blinking strangely behind these apparent lenses. In a similar vein, the creature’s skin appeared to be a flesh-like uniform of sorts. This is a particularly interesting detail as many other accounts, some of them decades later, would state a similar assumption. By this stage, the rest of the family had ventured into another room, now quite frightened. The creature turned away from the window and returned into the light, which itself died down suddenly and vanished. NOTE: The above image is CGI.